The ocean was alive with life today, with us spotting 3 of the Marine Big 5, a beautiful Sunfish and a variety of bird species. 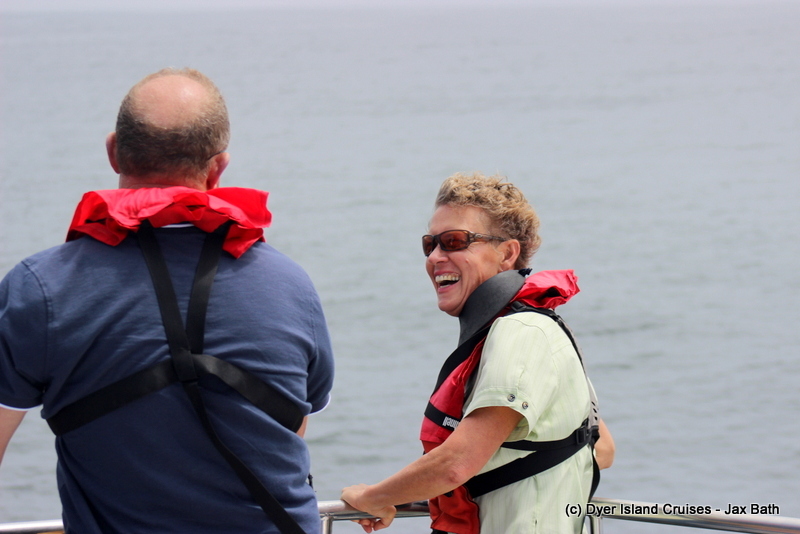 We launched out of the habour at around 10am to a misty ocean, and set our sights on shallow water where we travelled along in the hopes of spotting an animal or two between the waves. 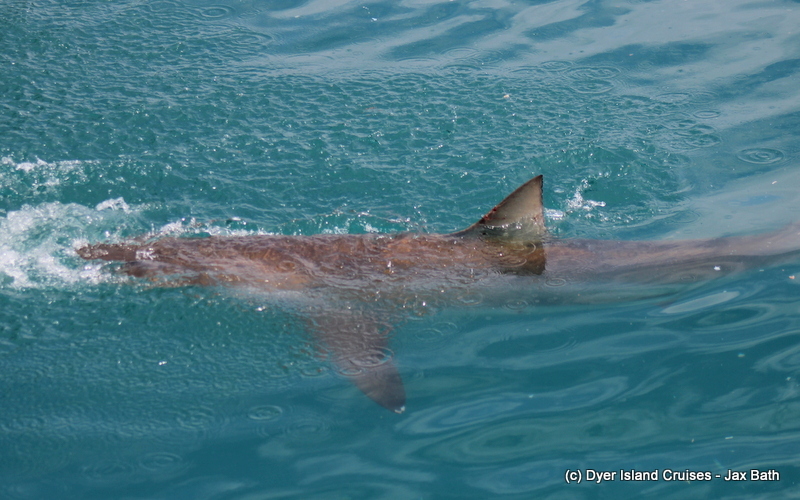 We travelled along, taking in the sights before stopping at Slashfin where we had a few Copper Sharks around. These sharks were stunning to watch through the crystal-clear water and we had an awesome time as we saw them investigate the front of Slashfin, with a couple of Mullet fish swimming below. After our stop here, Kira spotted a fin in the water, so we went in for a closer look. To our joy, an Ocean Sun Fish was bumbling along in the water. 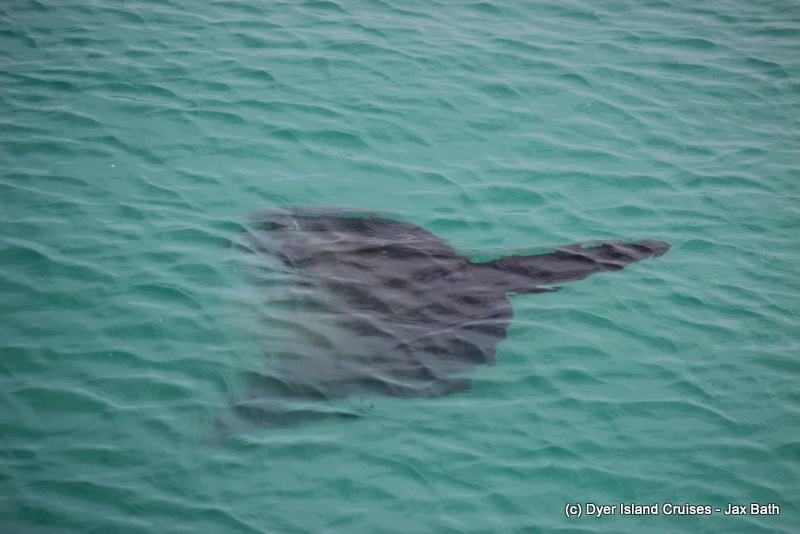 This was a particularly large specimen and with the great visibility, we were able to see it clearly as it moved about. We stopped the boat and spent ages watching this interesting creature toddle along, taking a dive or two only to appear again minutes later. 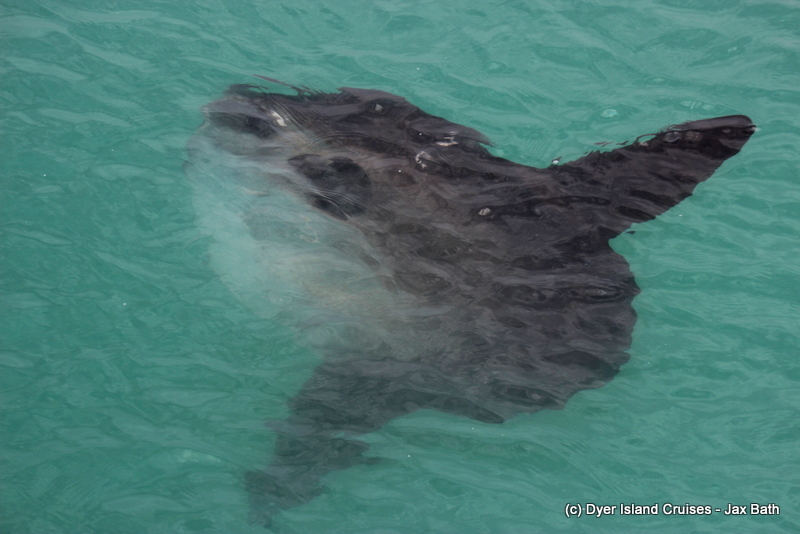 Once we had seen the Sunfish, we picked up some kelp before stopping at one of our Baited Under Water Video Stations. We deploy these stations to research small shark species along our reefs. 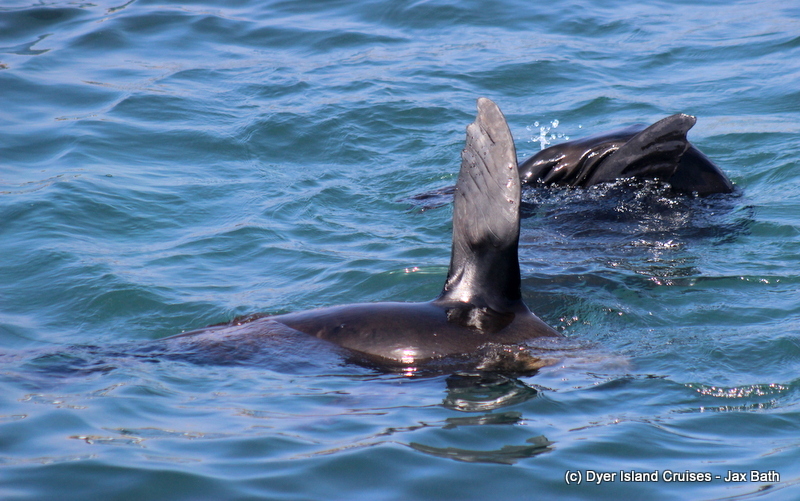 Once we had had a look, we cruised into Sponge Bay to point out some African Penguins before making our way into Shark Alley where we had a delightful time watching our Cape Fur Seals go about their daily business. 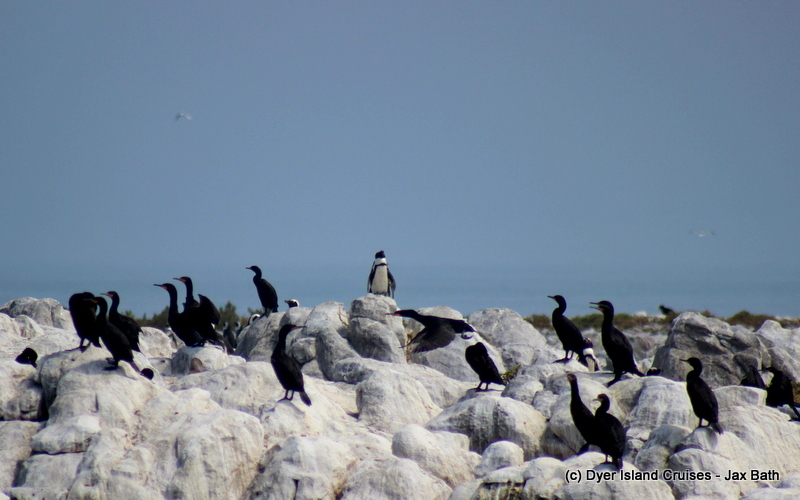 We then took a trip behind the island, spotting thousands of Cape Cormorants, a Corey Shearwater and a large raft of African Penguins before returning home. Seal giving us a look. 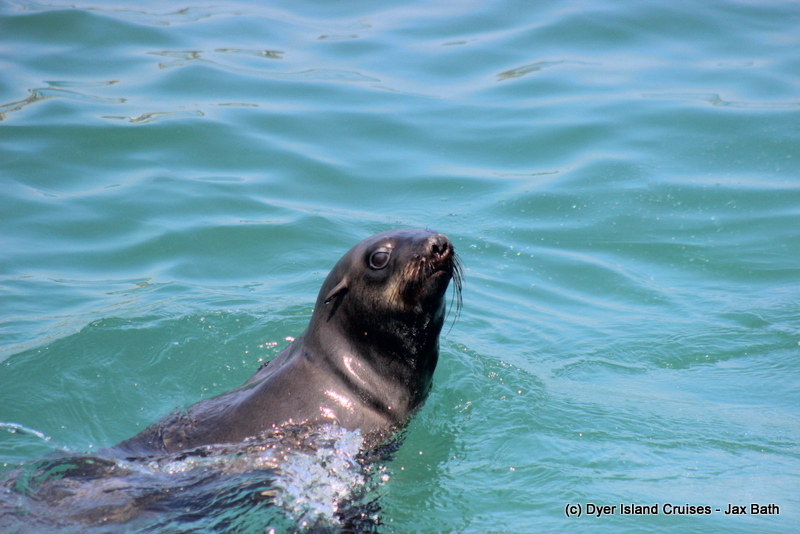 We had lots of seals in the water today, as it was lovely and hot out at sea. 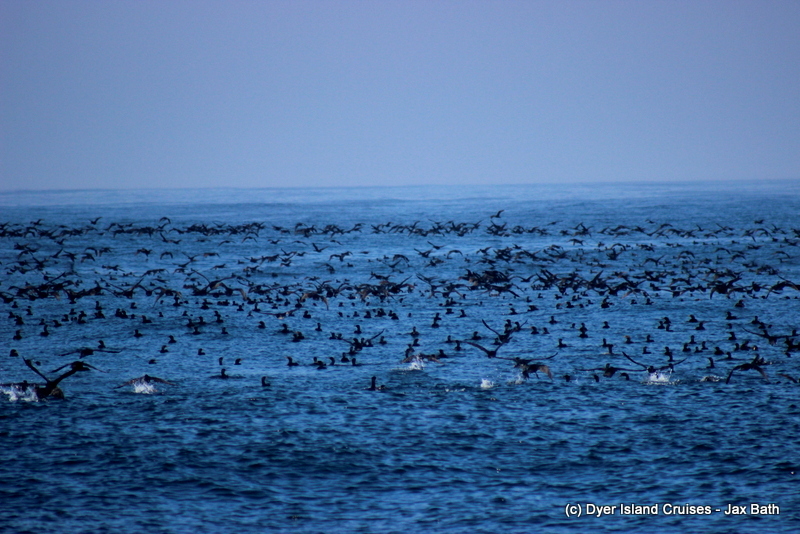 The stunning sight of Cape Cormorants on the water. 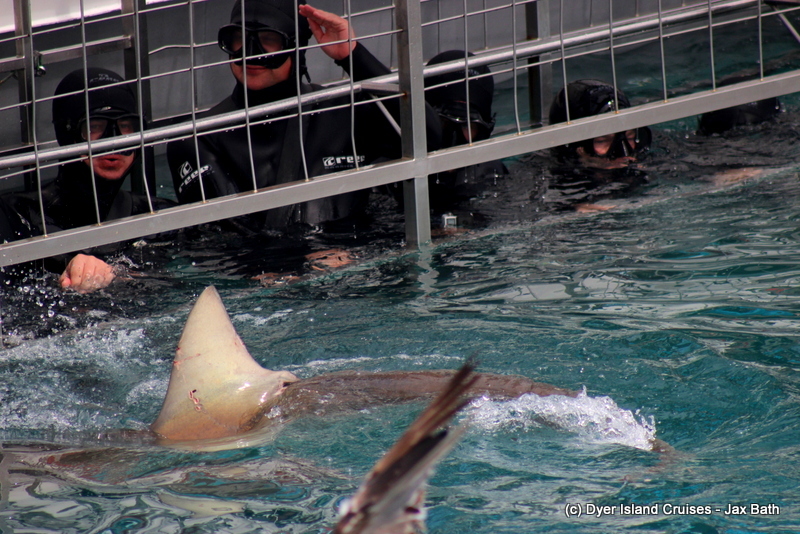 A Copper Shark in front of Slashfin. 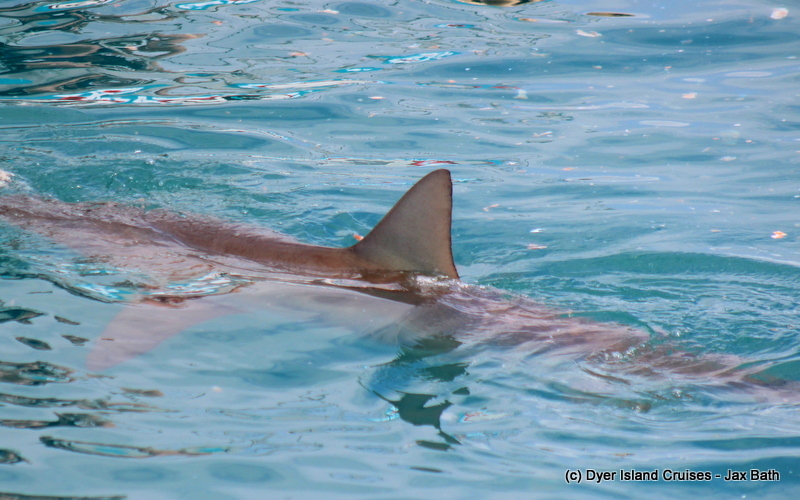 A gorgeous Bronze Whaler goes in for a closer look. 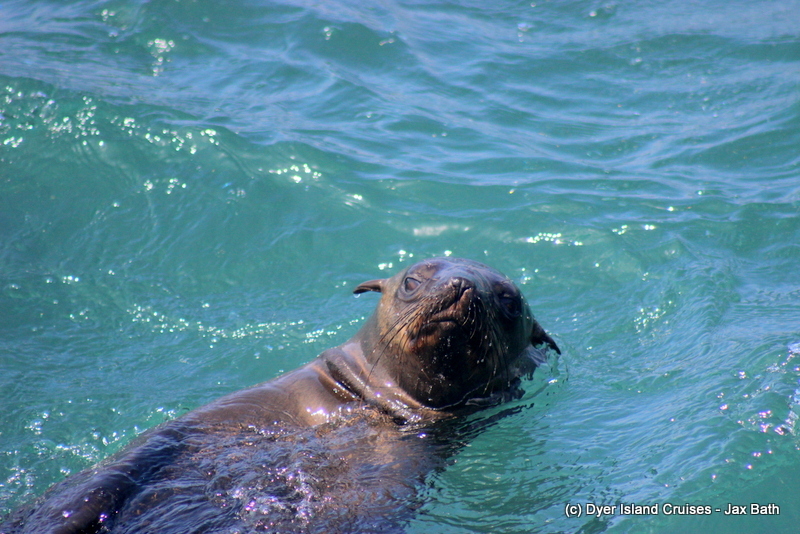 Another view of one of the prettiest members of the Marine Big 5. We spent 10 minutes watching this relaxed animal travel just below the surface. 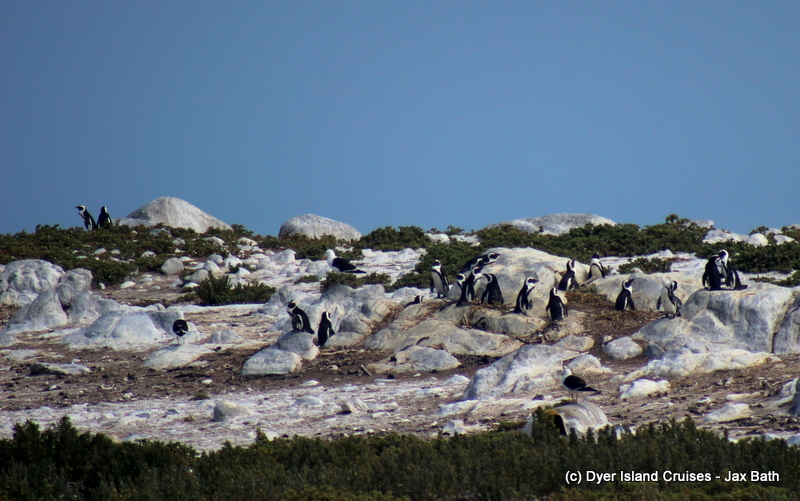 An African Penguin on the Skyline. Some more Penguins sitting in the middle of the island.